Once upon a time, about 400-500 million years ago, plants and insects were co-evolving right around the same time. Insects mostly feed on plants, and new species of plants were popping up all over the world, which provided an abundant feast of a food source for insects. A shared trait among every living entity, regardless of what we believe personally, is the desire to preserve one’s own life. It doesn’t matter if you’re a plant, animal, or other; the one shared trait we all share is a propensity towards life. This manifests in many ways, whether it’s a desire to propagate, a desire to stay alive, or a compulsion to eat and breathe, any any cost. And, even though plants don’t have nervous systems, they also share this propensity towards life. With all these new insects munching on plants, the plants that survived were the ones that developed defenses to prevent themselves from being eaten by insects. As a result, plants developed 3 categories of defenses; nutritional, physical, and chemical (Southwood 1986). Nutritional defenses are ones where plants purposely contain low levels of nutrients for insects (and animals), making them undesirable food sources. If we chew on bark every day and don’t feel any benefit from it, we will stop eating that bark. With physical defenses we simply need to look at just about any plant in the desert to understand this category. The one I’m most interested in, and most interested in for this discussion is the chemical defense category. Plants that produced chemicals to poison, alter, or ward off (such as an offensive scent) predators would be automatically granted the privilege of propagating the next generation of plant. Luckily (and quite conveniently) for us, many of the chemicals plants ended up producing have powerful benefits for humans, both medicinally and psychoactively. This evolution wasn’t one-sided either. Just as plants began producing chemicals to deter predators, predators produced immunities to fight harm from the plant chemicals intended to ward them off. This allowed insects and animals to further benefit from a widening array of plant constituents, as variety and adaptability were naturally encouraged by nature. Something to note is that an organism doesn’t need to know HOW or WHY a plant provides a specific effect; we just need to observe that use or consumption of a plant has a specific effect. Historical evidence shows that from the earliest evidence of human existence (even “Iceman” had a pouch of medicinal herbs with him), humans discovered, cataloged, and made use of plants for far more than food sources. Think about this for a minute with me: if we lived in nature with the plants, and our very survival depended on us knowing our territory in its every detail, we would try and observe every plant we could get our prehistoric hands on. Over time, we would observe, generation after generation, the effects these plants had on each other. In fact, knowledge of plants expanded into foods, medicines, and ritualized uses by medicine men, also known as shamans. So despite what “they” (governments and giant pharmaceutical companies) would often have us believe when they claim there isn’t enough research or control when it comes to herbal medicines, this is misleading. We have many thousands of years of plant knowledge under our collective belts, and it’s completely accessible to us. And, believe it or not, most pharmaceuticals in that multi-billion dollar industry are plant derived anyway. Yes, you heard that correctly: Most of the pharmaceuticals prescribed today began as plants. So, the difference between herbal supplements and pharmaceuticals can often be just the isolation of the active constituent in a plant in pharmaceuticals, and the control of the dose. 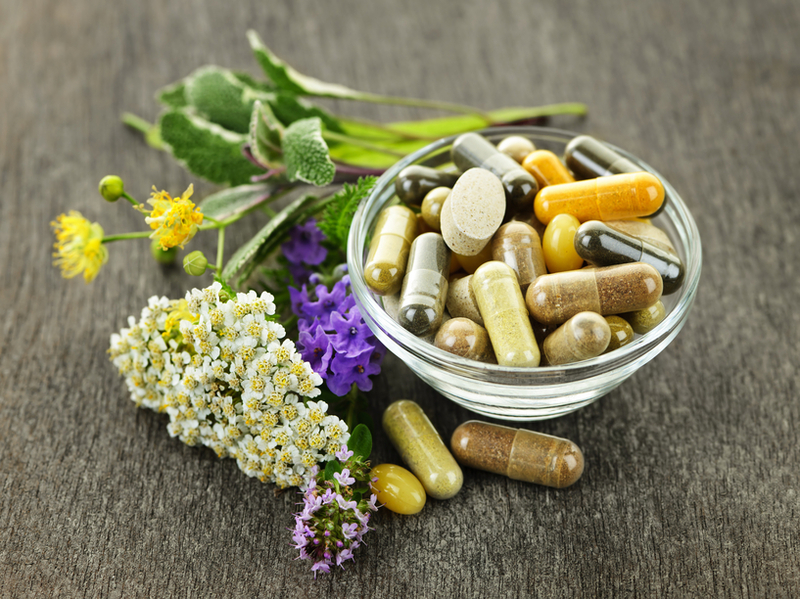 As Hippocrates stated; “The difference between medicine and poison is often the dose.” It’s not that herbal medicines don’t have the historical data to back them up; when we self-administer, we may not be as skilled at knowing the proper beneficial dosages of the plants. And, with such varied information available worldwide and on the web, it van be difficult to know what sources of information to trust. And, something to be argued is that when it comes to benefits from plants, the entire plant is often necessary for a system to gain the full benefits of that plant. Pharmaceutical medications often isolate a single alkaloid in order to concentrate the medicine. But, in many cases, this also ignores the synergistic effect that leaving other alkaloids and chemical constituents in may have in regard to the overall effectiveness or safety of a plant-based medicine. So, even if we’ve never worked with a plant or an extract from that plant before, it’s not that difficult to determine the dose. Why? Because we start small. If we’re working with an essential oils, and we’re trying to help a skin rash, we don’t douse ourselves with one we’ve been told is good for a rash; we try it on a small area, and wait for the effect. If there are no ill effects, we can then move to a larger area, and so on. This is true whether we are working with a tea, a decoction or an infusion. If we’re making a tea out of a single plant or several, simply start with a small amount of material, steeped in our drink. Take a taste, and wait an hour, perhaps 2-3 hours. Observe closely. Trust your senses. Trust what you feel you are feeling and you will likely be right. Once we determine the dose, we should continue to err on the side of caution. If we’re taking a tea to help soothe a sore throat, it’s best to try that tea when we don’t have a sore throat. We won’t be able to tell if it would help our sore throat, but we can easily ensure that it won’t hurt us. So, we’re imagining ourselves as prehistoric people living in nature. We would quickly build up a vast storehouse of knowledge regarding plants, which would be passed on from generation to generation. As humans migrated and met other people, they would travel with their favorite plants. Often, plants were traded with other humans, and new plants would be introduced into the environment. By default, all of these plants would be altered through human selection because humans will, by default, choose the best examples of that plant to seed the next generation of plants. For example, humans will naturally pick the plants that bear the most fruit, or the largest or most beautifully-scented flowers. Coupled with plants’ propensity towards life, they will be encouraged to produce larger or more scented flowers, and these traits will be carried from generation to generation. Whether it’s for defense, a response to the environment, plants have an intelligence that helps them survive in their environment. For the ones that don’t, we’ll nature does its part and those plants naturally become extinct. The debate often arises when plants contain psychoactive substances, but that is a debate for another article. “Lessons in Iceman’s Prehistoric Medicine Kit“, New York Times Website, JOHN NOBLE WILFORD, December 8, 1998. This entry was posted in Science of Plants on March 3, 2015 by Keith Cleversley.